My friends can be proud. 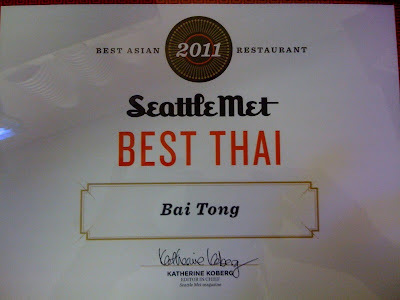 They got a big recognition by Seattle Met Magazine - best restaurant among the dozens and dozens of Thai restaurants. Bai Tong has locations in Redmond/Bellevue and Southcenter. Hiring during Gregoire's "hiring freeze"